The last few years have seen notable technological changes in the dental lab industry. Moving into 2018, this trend is sure to continue. What was once only available in certain lab environments is becoming mainstream and a necessity for the labs to stay competitive and profitable. At the forefront is dental lab software, a product with proven technology to make workflow easier, and more productive, for lab technicians worldwide. Industry demand has called for more “out-of-the-box” solutions, efficient workflows, timely reporting, and usable data for the modern dental lab. Can dental lab software do all that? Indeed it can. Read on to learn more about key tools and trends in the industry. 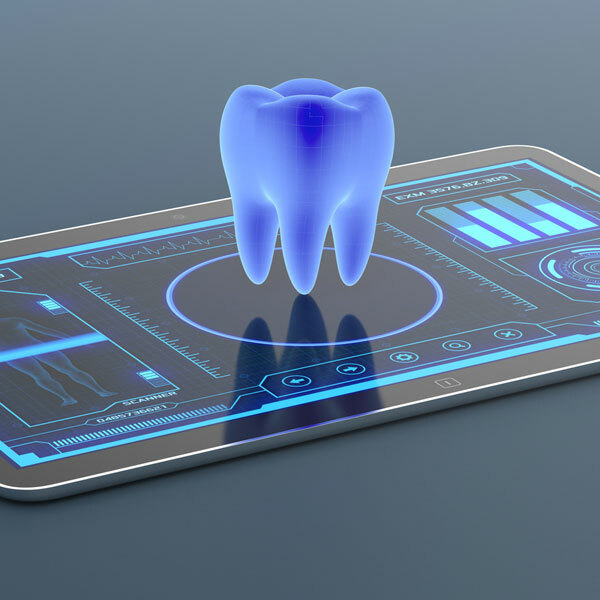 Adopting to a digital landscape has proven to be beneficial for both small and large labs, with 2018 seeing more labs embracing dental lab management software. A seamless, user-friendly integration process is a leading reason for the increase, allowing labs to grow and handle all their production processes, regardless of their size. For instance, management-based software helps highlight projects that are overdue, improves productivity, keeps technicians happy by making it simple for them to handle their workload, and increases profitability all at the same time. No new hardware is necessary to upgrade to this type of software, making it appealing to those labs with systems already in place. Every interaction with a patient gets put in one tidy package. Notes about preferences for care, history, and correspondence all can be accessed instantly. Combining all of the customer relationship management into dental lab software provides faster interactions and allows patients to go from the lobby to the office feeling taken care of. Imagine working in a lab and being able to easily manage customer accounts, case production, sales and financial data, technician tasks, and invoicing. 2018 will see this becoming more standard in labs across the board. Tracking patient records through the lab helps deliver confidence and accuracy. When lab analysis results become available, systems can automatically update the patient. If a dentist or patient calls wanting an update, you can see in real time where the lab process stands. This provides strong customer interaction and peace of mind for the technician and lab manager. Keeping track of your workflow can get messy. Have a streamlined management system is vital. New software allows lab technicians to instantly manage their case schedule, case audit, and case tasks and reports. Sometimes files get further apart. With case management software, everything gets grouped holistically, not just alphabetically. Looking for patterns in information can be taxing, but with dental lab software, the data sorts itself. Lab owners can manage new processes and enjoy faster turnaround times while keeping a permanent digital record of all cases. Finally, cloud integration keeps information secure. Cloud computing offers safe storage off-site to prevent loss of information. Cloud computing was once rare but has grown immensely in the past year with nearly 73% of companies using it as primary storage. Cloud computing provides better security for you and your patients. It also helps to speed up retrieval and lower storage costs in-office. No need to transfer files as you upgrade systems, the files stay ready for your staff from any authorized device no matter how many changes you make. Take a look at what our software can do for you in 2018. We offer installation and training on all of our products. We have technical support standing by and dedicated to keeping your office running at peak performance. Upgrading to dental lab software is possible for any size lab and doesn’t require a tremendous amount of money or implementation when executed properly. In the meantime, if you have questions, reach out to us for more information on what our software can do for your lab. Magic Touch Software’s products have emerged as the leading software solutions for dental laboratories worldwide. In many cases, the unique features and powerful designs have set the bar for all dental lab software. The company has experienced continued growth, expanding operations overseas, tripling its employee workforce, and continuing to release new and revolutionary products every year.